December 4, 2008 – 10 AM: In re Chippendales USA, LLC, Serial No. 78666598 [Refusal to register the apparel configuration shown below for “adult entertainment services, namely exotic dancing for women in the nature of live performances” on the ground that the design is not inherently distinctive]. Frankly we would have relied on tackiness for the refusal if we were the PTO, because when we see this classy outfit we think “Chippendales” every time. “Inherently distinctive?” I’d say! More interesting is the concept of apparel configurations as the subject matter of a trademark. Indeed, as the applicant’s brief by friend Stephen Feingold (of our former firm Day Pitney — didn’t realize he’d handled my favorite Yiddish IP case!) makes clear, that question is indeed a matter of first impression. As the brief explains, TMEP 1301.02(c) provides for registration of a “three-dimensional costume design . . . for entertainment services.” In other words, clothes worn as a costume, not as “apparel” per se, are clearly amenable to protection as a trademark. The question appears to be whether a “configuration” of apparel such as that in the illustration constitutes a “costume” — i.e., whether the concept of using a costume to protray a particular character (Mickey Mouse, the San Diego Chicken) can be extended to a situation where, here, there is a concept, but not an identifiable, specific persona meant to be evoked. To prove that it does, Chippendale’s creatively secured the services of Rachel Shteir, the director of DePaul University’s theater school and a leading historian of American burlesque theater. She testifies that the Chippendale’s costumes are associated with “iconic characters,” larger-than-life, recognized “types” that target audiences have no hesitation identifying. That, Chippendale’s argues, is exactly the case here, and that is why the outfit is inherently distinctive. We like the argument, though Chippendale’s goes on to suggest that the actual legal ground for registration here should be a more technical one, but applying Shteir’s analysis — namely the enunciation of a new, post-Samara test for inherent distinctiveness of costumes that allows for analysis of the target audience’s receptiveness to recognition of such icons by the use of recognized costumes. UPDATE: Ryan Giles takes adds a few stitches. 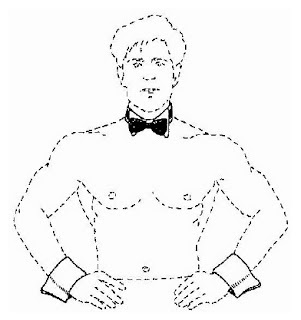 If the fact that the torso wearing the collar and bow tie is unclothed is not part of the mark, then any man in an outfit with cuffs and a bow tie is copying the Chippendale’s mark. One might respond that lack of confusion will generally avoid infringement, but is that really how we want to think about it? Ironically I didn’t want to think about hardly any of this! 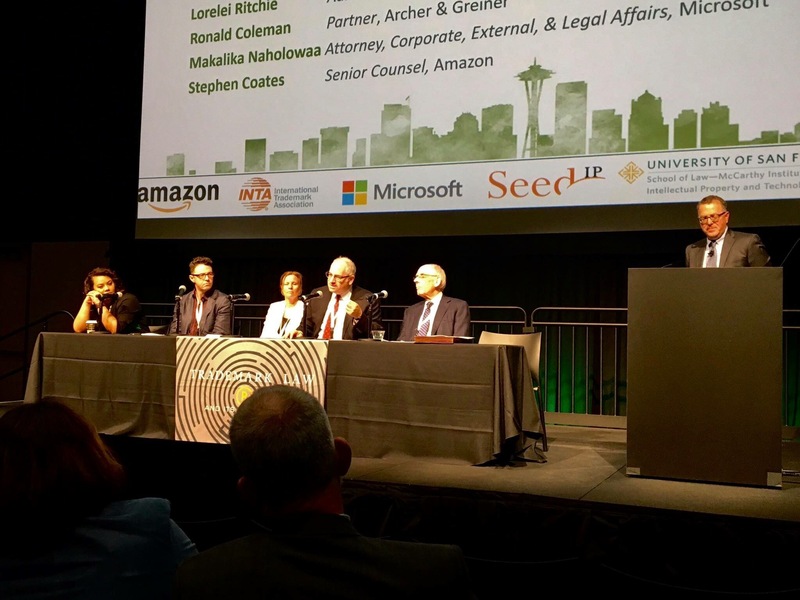 UPDATE: The appeal and….. the agony of defeat. 2015 UPDATE: The original 2008 comments are a must.